Milk consumers require healthy and safe milk that is free from contamination, unpleasant smell, etc.. Processing also demands for milk to meet certain standards. For example, cheese making is very sensitive to spores and antibiotics. The requirements on the quality has increased over time and will continue to do so. To meet this, more and more dairies put pressure on the milk producers. This is normally reflected in the payment scheme, where producers that deliver milk that does not meet the required standards have to pay penalties. There are also examples of processors paying bonuses to producers that meet the highest standards. As this makes the quality of the milk a determinant of the producer’s final price, it has to be considered in the daily routines. There are many factors that affect milk quality and some are easier to control than others. spores (especially important for cheese making). 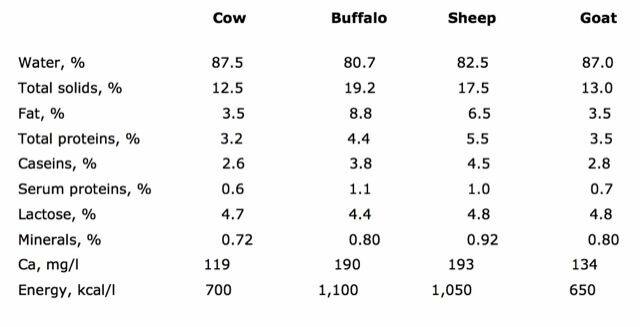 Average chemical composition of milk of the main ruminant species. 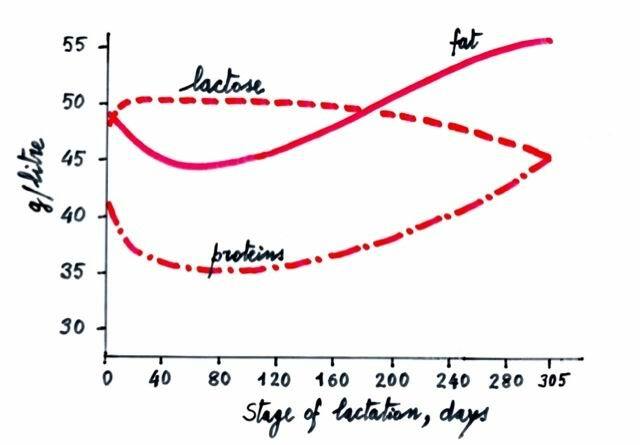 Variation of the main milk constituents in relation to stage of lactation. The quantities of the main milk constituents can vary considerably depending on the individual animal, its breed, stage of lactation, age and health status. Herd management practices and environmental conditions also influence milk composition. If milk is left to stand, a layer of cream forms on the surface. The cream differs considerably in appearance from the lower layer of skim milk. Under the microscope cream can be seen to consist of a large number of spheres of varying sizes floating in the milk. Each sphere is surrounded by a thin skin — the fat globule membrane — which acts as the emulsifying agent for the fat suspended in milk. The membrane protects the fat from enzymes and prevents the globules coalescing into butter grains. The fat is present as an emulsion. In the milk fat there are also pigments (e.g. carotene, which gives butter its yellow colour). Fats supply the body with a concentrated source of energy: oxidation of fat in the body yields 9 calories/g. Fatty acids vary in chain length from 4 carbon atoms, as in butyric acid, to 20 carbon atoms, as in arachidonic acid. Nearly all the fatty acids in milk contain an even number of carbon atoms. Fatty acids can also vary in degree of unsaturation, e.g. C18:0 stearic (saturated), C18:1 oleic (one double bond), C18:2 linoleic (two double bonds), C18:3 linolenic (three double bonds). 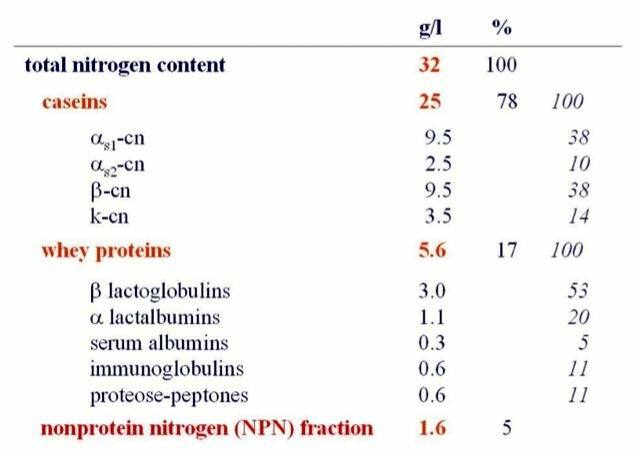 Proteins composition of cow's milk. Milk proteins represent one of the greatest contributions of milk to human nutrition. Lactose is the major carbohydrate fraction in milk. It is made up of two sugars, glucose and galactose, and is present in milk in molecular solution. Lactose is a source of energy and provides 4 calories/g. It is less soluble in water than sucrose and is also less sweet. In addition to lactose, milk contains traces of glucose and galactose. Heating milk to above 100 °C causes lactose to combine irreversibly with the milk proteins. This reduces the nutritional value of the milk and also turns it brown. Some people are unable to metabolise lactose and suffer from an intolerance as a result. Pretreatment of milk with lactase enzyme breaks down the lactose and helps overcome this difficulty. Milk contains the fat-soluble vitamins A, D, E and K in association with the fat fraction and water-soluble vitamins B complex and C in association with the water phase. Milk salts are mainly chlorides, phosphates and citrates of sodium, calcium and magnesium. Although salts comprise less than 1 % of the milk, they influence its rate of coagulation and other functional properties. The Somatic Cells (leucocytes + udder epithelial cells) have the ability to mobilize and direct bacteria fighting cells to the udder if a bacterial infection commences in the gland. These cells move to the infection site and initially act to minimize the infection and then eventually they help eliminate it. High somatic cell count (SCC) normally indicate a mastitis infection or udder damage. Somatic cells originate only from inside the animal’s udder, while the bacteria are usually from external contaminations, such as insufficient cleaning of the milk transport equipment or insufficient external cleansing of the cow’s udder and teats prior to milking. Milking equipment can also be accidentally knocked or kicked off an animal onto the floor, and contaminants on the barn floor can be sucked into the milk line by the system vacuum. A filter sock or filter disk in the pipeline prevents large particulate contaminants from entering the milk bulk tank, but cannot remove bacterial contamination once it has occurred. An uninfected cow can have a milk SCC well below 100,000/ml and herds, with low infection levels, may have overall herd cell counts below 100,000. Such levels are an indication of low infection rates and a general indication that many things are being done correctly. When the overall SCC reaches approximately 200,000/ml it is an indication that a certain low number of cows are infected. As the cell count elevates it is directly related to more quarters of more cows being infected. This may result in cell levels of 400,000-800,000 cells/ml and such levels are a concern for several reasons. When the somatic cells destroy bacteria, left behind are enzymes that have been involved in the process. These enzymes are often resistant to pasteurization procedures and can cause milk fat and protein damage. This can result in serious off-flavors in milk that consumers find objectionable. It also may reduce shelf life significantly, even when milk is kept properly refrigerated. 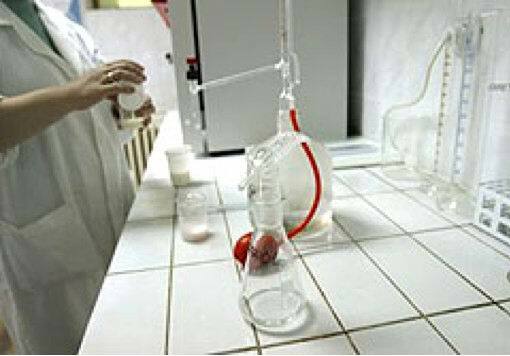 EC Milk Hygiene Directive (92/46) sets standards for somatic cell counts (SCC). Producers are not permitted to sell milk for human consumption if their SCC is in excess of 400,000 per ml, whereas for high quality milk it is 300,000 per ml. This standard is based on the average SCC over a three month period. If the standard is exceeded, producers have three months to investigate and make improvements. However, if their SCC still exceeds the standard after this period they will not be allowed to sell milk for human consumption until the three monthly average falls below 400,000 per ml. 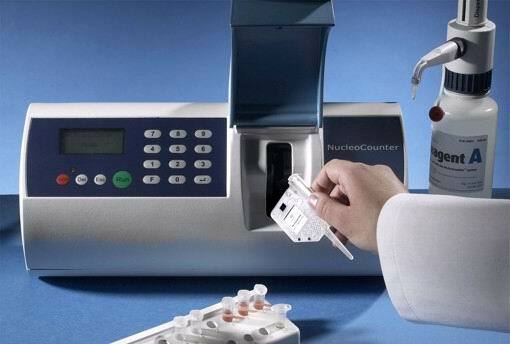 Milk, directly from the udder of an uninfected cow, normally has a very low bacteria count. However, when infections are caused by certain bacteria, this can change significantly. Infections due to Streptococcus agalactiae can lead to large numbers of these bacteria being released into the milk within the udder. Millions of bacteria/ml from individual cows can result in the bulk tank raw count being elevated to quite high levels. The environmental Streps can also result in elevated tank counts. These may include Streptococcus uberis, Streptococcus dysgalactiae or possibly other environmental species of Streptococci. They may originate from infected cows or they may be from milking dirty cows and these bacteria originate from skin surfaces that are dirty. It is unlikely that Staphylococcus aureus infected cows will produce excessively high raw counts since this bacterium is not normally released in sufficient quantities to cause this problem. Neither is it common for E. coli infected cows to cause tank count problems. Coliform infected cows either shed relatively low numbers or, in the case of acutely infected cows, the milk is not placed into the tank. An example of a possible source of bacterial contamination. From: Sukolrat Boonyayatra, DVM, MS, Clinic for Ruminant, FVM, CMU. The basic cause of an elevated bacterial count (BC) is bacteria entering the raw milk in excessive numbers. These bacteria may originate from several different sources. They may be from within the udders of cows with mastitis infections. Some forms of mastitis may result in large numbers of bacteria being released into the milk, while other forms may cause significant mastitis problems but do not shed large quantities of bacteria into the bulk milk. A second source may be from the skin surfaces of the teats, udders and udder hair. Each of these locations has the ability to support significant bacterial growth and occasionally they may enter the milking system and the tank. Milking wet, dirty cows is an example of when this situation may be a source of problems. Another possibility is milking equipment surfaces. These include everything from liners, that contact the teat, all the way back to the bulk tank. An example of a dirty udder that can be found at milking. There are many different varieties of milk available for consumption. The different milks tend to vary according to the way they are produced, and in their fat content. All milk sold via the retailers has to be heat-treated (pasteurised) to kill harmful bacteria. However, untreated milk can be bought direct from a limited number of farms. The goal of pasteurization is to render the milk safe to drink without curdling or coagulating it and without altering the flavour substantially, although people who are accustomed to drinking unpasteurized milk may find that pasteurized milk has an “off” flavour. 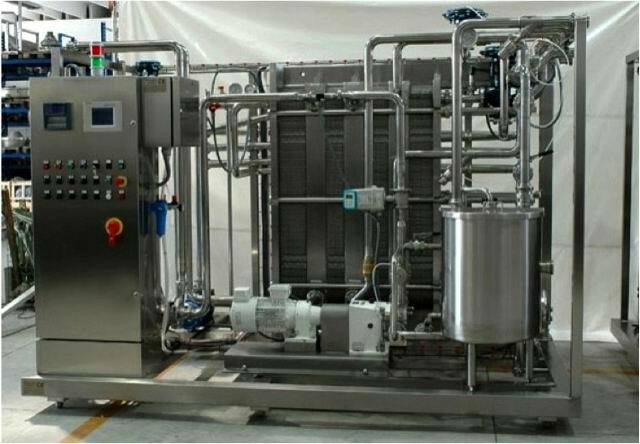 The pasteurization is a relatively mild form of heat treatment, which kills harmful bacteria. Not all pathogens are removed during the process, so pasteurized milk is not 100% sterile. Pasteurization destroys vitamin C and damages the water soluble B vitamins diminishing the nutrient value of milk. Milk enzymes, antibodies as well as beneficial hormones are destroyed by pasteurization. There are several different pasteurization techniques which can be used to make pasteurized milk. 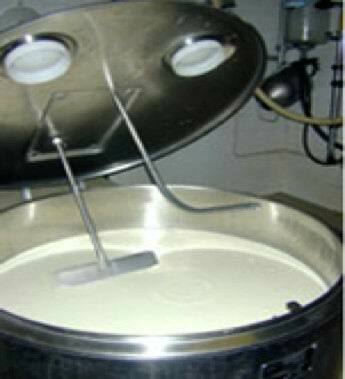 The technique, called “batch pasteurization”, involves heating large batches of milk to a lower temperature, typically 63 °C for 30 minutes. Another technique is the high temperature/short time (HTST) pasteurization, where the milk is brought to a temperature of 72 °C and held there for approximately 15 seconds before being rapidly cooled and packaged. Following pasteurisation, the milk is rapidly cooled at 4-6 °C and then stored in a refrigerator in order to preserve its shelf life. This milk is pasteurized at a slightly lower temperature and passed through a special filter. Filtered milk goes through an extra, fine filtration system, which prevents souring bacteria from passing through. The nutritional content of the milk is unaffected but the shelf life is increased. The processes involved include, microfiltration, ultrafiltration and nanofiltration. 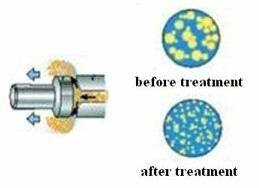 Microfiltration is the most commonly used process. It is a pressure-activated separation process which uses a membrane that is permeable to substances with a low molecular weight but rejects material with a high molecular weight. In the process of microfiltration of skimmed milk, bacteria are removed using ceramic filters with 1.4 micrometer holes to separate the milk from the bacteria. After this process, virtually all the bacteria present in the milk are removed. The milk is then homogenised to standardise and evenly distribute the fat molecules, where it then undergoes the pasteurisation process before being chilled down quickly to 5 ºC or less. Microfiltration adds an extra level of cleanness which can extend shelf life up to 45 days when stored at temperatures of up to 7 ºC and an average 7 days once opened. Filtered milk is available in whole, semi skimmed or skimmed milk varieties. 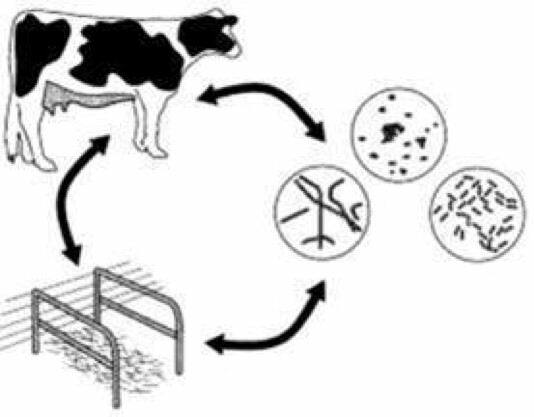 While pasteurization conditions effectively eliminate potential pathogenic microorganisms, it is not sufficient to inactivate the thermo resistant spores in milk. The basis of UHT, or ultra-high temperature, is the sterilization of food before packaging, then filling into presterilized containers in a sterile atmosphere. Milk that is processed in this way using temperatures exceeding 135 °C permits a decrease in the necessary holding time (to 2-5 s) enabling a continuous flow operation. indirect heating → the heating medium and product are not in direct contact, but separated by equipment contact surfaces. UHT milk is available in whole, semi skimmed and skimmed varieties. The advantage of UHT milk is the long shelf life → 3 months, without refrigeration. The drawbacks are a reduction of the nutritional properties and a pronounced cooked flavour (Maillard browning). Sterilised milk is available in whole, semi skimmed and skimmed varieties. It goes through a more severe form of heat treatment, which destroys nearly all the bacteria in it. 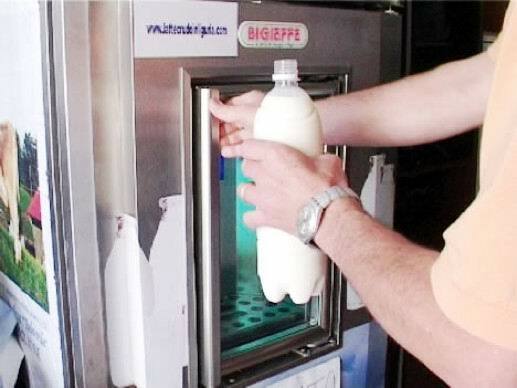 First the milk is pre-heated, sterilised, then homogenised and poured into glass bottles or plastic cartons. The bottles pass through a steam chamber where they are heated to a temperature of between 120 ºC for approximately 15-20 minutes. The sterilisation process results in a change of taste and colour and also slightly reduces the nutritional value of the milk, particularly the B group vitamins and vitamin C.
Unopened bottles or cartons of sterilised milk keep for 6 months without the need for refrigeration. Once opened it must be treated as fresh milk and used within 5 days. Effect of heat treatments on milk constituents. Whole milk is milk with nothing added or removed. Whole homogenised milk is identical in fat and nutrient content to whole milk, but it has undergone a specific process known as “homogenisation”, where the milk is forced at high pressure through small holes. This breaks up the fat globules in order to spread them evenly throughout the milk and prevents a creamy layer forming at the top. This process basically results in milk of uniform composition or consistency and palatability without removing or adding any constituents. Homogenisation increases the whiteness of milk because the greater numbers of fat globules scatter the light more effectively. Skimmed milk has a fat content < 0.3 %. It contains lower levels of fat soluble vitamins, particularly vitamin A. This milk comes from cows that have been grazed on pasture that has no chemical fertilisers, pesticides or agrochemicals used on it. The producers must register with an approved organic body and are subject to regular inspection. Once the cows have been milked, the milk is treated in exactly the same way as regular pasteurised milk. There is no evidence to suggest that organic milk is any more nutritious than conventionally produced milk. Although there have been studies to show that organically produced milk contains higher levels of omega-3 polyunsaturated fatty acids, these are plant derived, short-chain fatty acids which appear to be of limited health benefit compared to the longer chain omega-3 fatty acids found in oily fish. There are a wide variety of flavours with a choice of long-life (i.e. UHT or sterilised) or fresh flavoured milk. The most popular flavours are chocolate, strawberry and banana. In comparison with plain milks, flavoured milks tend to have slightly higher sugar content.